A delegation of Eminent Persons' Group (EPG) members from Nepal headed by Mr. Rajan Bhattarai visited the Visakhapatnam (Vizag) port on 24 May 2018. The team, along with Mr. Mahendra Lama, EPG member from India, and Mr. Hari Prasad Odari, counselor (political) of the Embassy of Nepal in India, met with Mr. Movva Tirumala Krishna Babu, Chairman, Vizag Port Trust (VPT). 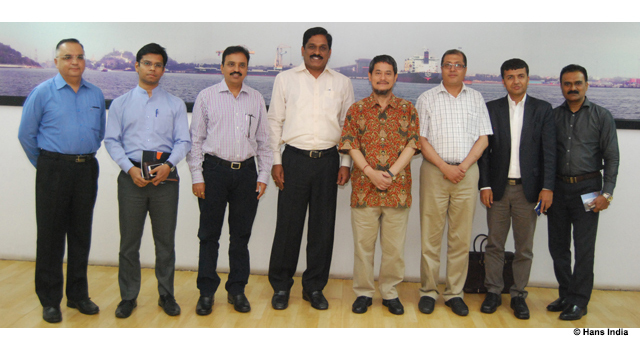 Recommended measures to boost efficiency of cargo shipment to Nepal via Vizag port. Measures suggested included (i) appointing a liaison officer in Vizag port to coordinate Customs clearance- and port-related issues for faster movement of container consignments; (ii) setting up electronic messaging; and (iii) streamlining procedures to lessen delays. The Governments of India and Nepal are working on improving efficiency of India-Nepal trade. Vizag port, a deep water port in southern India that provides an alternative to Kolkata port, allows traders to transport goods through mother vessels. Nepalese importers participating at a Nepal trade meet held early this year expressed satisfaction over trade carried through Vizag port. The EPG is preparing a report that will provide a new blueprint for forging India-Nepal ties. It will include recommendations on the new India-Nepal Peace and Friendship Treaty, trade, commerce, transit, water resources, hydropower, areas of cooperation, economic assistance, and socio-cultural relations.